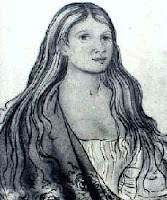 1755: Cherokee leader Nancy Ward fights side-by-side with her husband at the Battle of Taliwa. When her husband is killed, she picked up his rifle and led the Cherokee to victory. 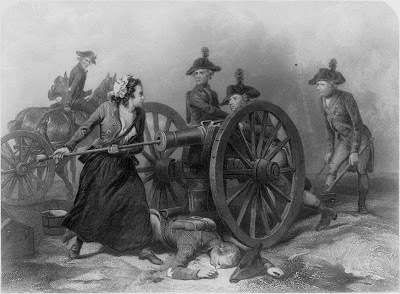 1778: Molly Pitcher (born Mary Ludwig in 1754) married John Hays in 1769. Her husband fought for the Continental Army at the Battle of Monmouth (New Jersey) on June 28, 1778. During the battle, she brought pitchers of water to her husband and fellow soldiers, thus earning the appellation Molly Pitcher. When her husband succumbed to exhaustion, she picked up his rifle and fought against the British. 1782-1783: Deborah Sampson serves in the American army during the American Revolutionary War while disguised as a man. 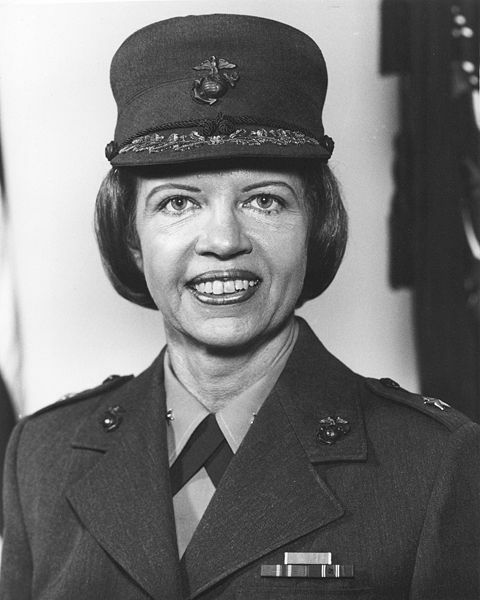 She is the first known American woman to join the military, the first to fight in combat, and the first to receive a military pension. 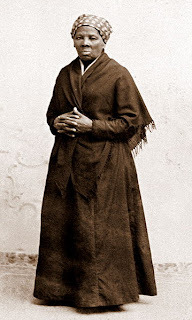 1861–1865: Harriet Tubman, an abolitionist and a former slave, becomes an Union spy. She leads a band of scouts and provides key intelligence to the Union Army. Tubman becomes the first woman to lead an armed assault during the Civil War in the Raid at Combahee Ferry in 1863. 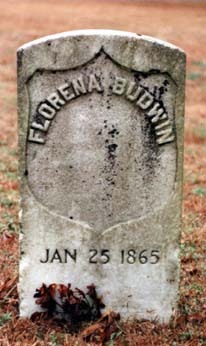 January 25, 1865: Florena Budwin dies and becomes the first American woman to be buried in a national cemetery. She had disguised herself as a man in order to fight on the side of the Union Army in the American Civil War. 1978: Margaret A. Brewer becomes the first woman to reach the rank of general in the United States Marine Corps. 1980: The first classes with women graduate from the United States Air Force Academy, United States Coast Guard Academy, United States Military Academy and the United States Naval Academy. 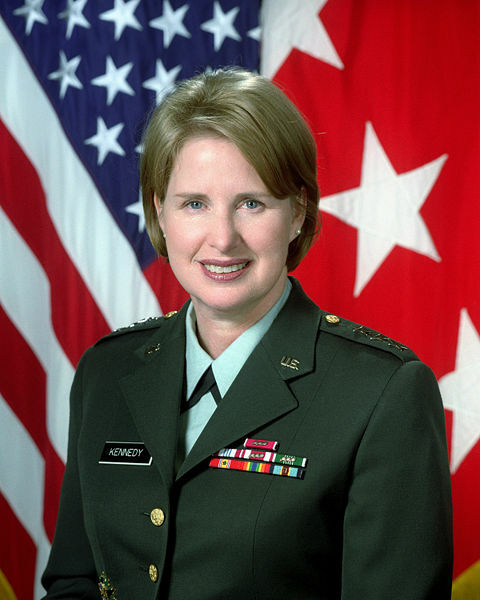 1997: Claudia Kennedy becomes the first woman in the United States Army to hold a three-star rank. If you'd like to read more, check out this Wikipedia article, which has information on women who serve in the military in a number of countries. Also, there are some great links at this article. A congresswoman said Thursday that her “jaw dropped” when military doctors told her that four in 10 women at a veterans hospital reported being sexually assaulted while in the military. “My jaw dropped when the doctors told me that 41 percent of the female veterans seen there say they were victims of sexual assault while serving in the military,” said Harman, who has long sought better protection of women in the military. “We have an epidemic here,” she said. “Women serving in the U.S. military today are more likely to be raped by a fellow soldier than killed by enemy fire in Iraq.” As of July 24, 100 women had died in Iraq, according to the Pentagon. 92% of all females that report a sexual assault is discharged from the military before her contract ends. From the 92%, around 85% are discharged against their wishes. Almost all of the 85% lose their careers based on a misdiagnoses that makes one ineligible for military service. The most common misdiagnoses are: adjustment disorder, personality disorder and pre-service existing PTSD or other disorder. One more suggestion: The blog at akinoluna.com is written by a woman in the Marines. Do you know of other blogs like this? Leave them in the comments! Thanks for posting your site, it looks great! Can't wait to see what you have in store. Ginmar is a woman who served in the Army in Iraq. She's been shelled and shot at and has driven slowly down Iraqi highways in mortal danger from IEDs, and now she has PTSD and agoraphobia. The VA refuses to acknowledge these service-related disabilities because they don't want to provide help, and because they don't really see women as soldiers; they keep giving her brochures aimed at civilian wives of soldiers. She blogs about her military experiences and feminism in general at LiveJournal, and I highly recommend her current and past entries. Thank you for the recommendation, I'm bookmarking her site now. I had to do a Book project recently. 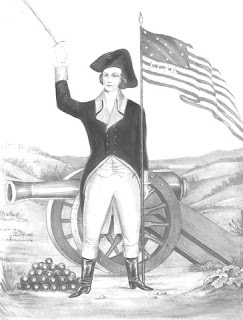 i did it on the book "the solider's secret" it is really good and tells the story of Deborah Sampson. Ithink anyone who wants to learn about the revolutionary war from a girls view should read it.